Patrick, a photo by troutwerks on Flickr. 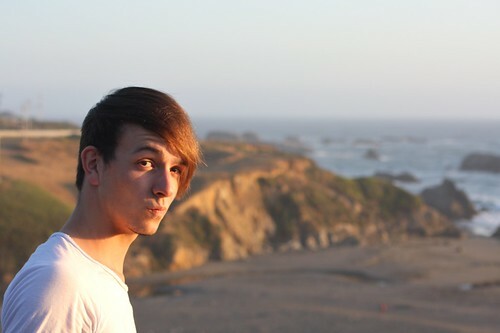 This handsome young man with an interesting style for his nice, brown hair appears in a photo taken north of Fort Bragg, California. The photo is by my buddy troutwerks, and it's posted here with permission.